A, C, E, N, Q, R, 1,2,3 & 7 to Times Square. 4,5,6 & 7 to Grand Central. B, D, F,M, & 7 to 42nd Street Bryant Park. Gabriel Kreuther is a Relais & Chateaux and Two Star Michelin restaurant looking out onto beautiful Bryant Park in Midtown Manhattan. 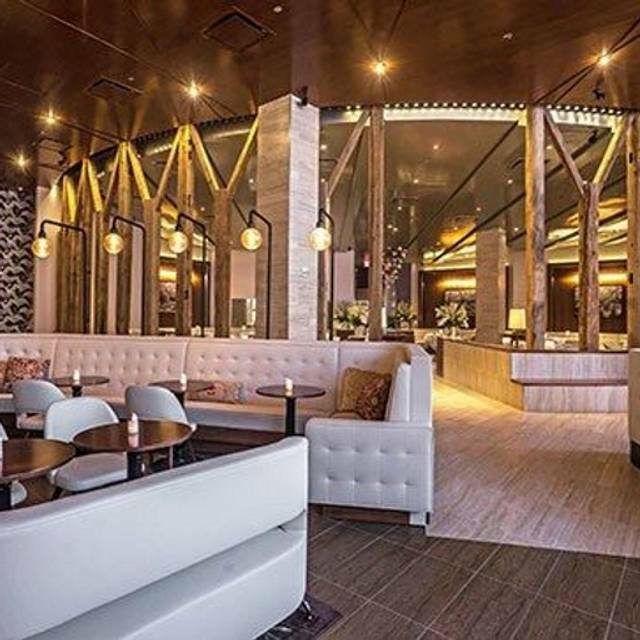 We offer a luxurious, upscale Contemporary-French-American & Alsatian-inspired dining experience with a distinct New York Spirit. 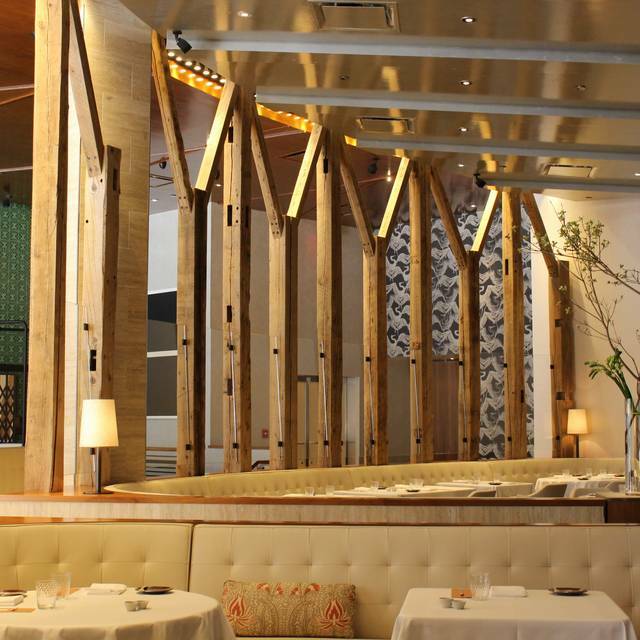 Also known for its stunning decor, Gabriel Kreuther looks out onto NYC's vibrant Bryant Park on 42nd street & offers fine-dining in the upscale dining room (reserve here) or casual dining at the bar and lounge (walk-in or call) offering "some of the absolute best bar food in NYC" (Grub Street). Gabriel Kreuther accepts reservations for the main dining room 28-days in advance & you can also book our In-Kitchen Table offering a fully immersive, special dining experience for up to 8 guests by contacting us at office@gknyc.com. 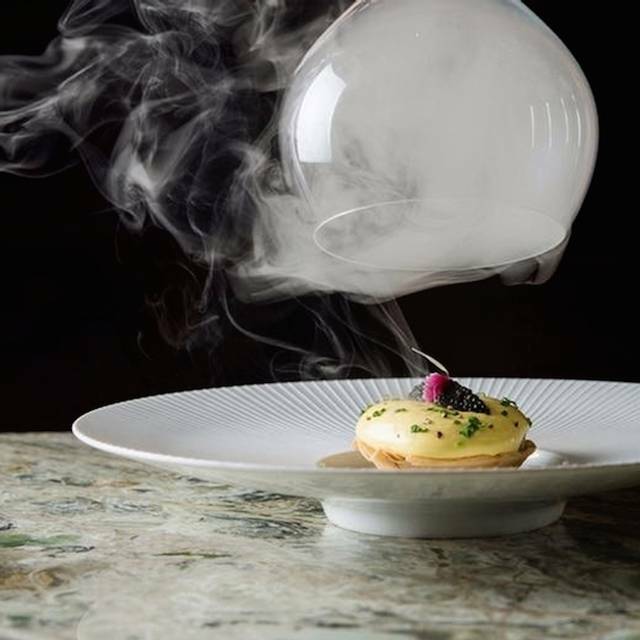 Beginning Monday, May 6th, 2019, Gabriel Kreuther will offer an exclusively new and enriching tasting menu experience for our guests in the main dining room. Outstanding experience. Every course was delicious, beautifully prepared, and elegantly served. Chef is a true master. There are perhaps only two restaurants in New York City that can aspire to the high standards upheld by Gabriel Kreuther. It is unfailingly perfect in my estimation—diners are treated with a courtesy now very rare in most establishments. The menu and the execution of same are exquisite. The restaurant was lovely. The food was outstanding. The service was outstanding. My wife and I ate a beautiful dinner, at the wonderful restaurant last night. We just wanted to thank everybody for the memorable experience we had on my birthday. The service and atmosphere was second to none. Everyone was friendly and professional. The food was of a different class. Never have I had a dinner and said "I have just had an experience." The skill, in both flavour and presentation, was incredible. The art and perfection of the dishes, coupled with the service and informative involvement of the course introductions was sublime. From the bottom of my heart, I thank Gabriel and staff for making my birthday the most memorable to date. I have eaten in palaces around the world, but nothing came close to this. There was a poor (small) selection of foods of which the first 2 courses provided insufficient choice. The food was overly rich for some courses with portions to large in relation to richness. The wine match we selected was the premium package but only the champagne and Riesling was of that quality. My partner and I were both unwell after the meal. Myself for over 24 hours. The experience could have been enhanced had our waiter been less pretentious. Read about moving up to 2 stars . Got curious and booked. Happy to have visited a day before flying home. Fresh, sweet, tangy, and savory defined Spring in the palate . Chocolate dessert truly an experience! Texture and notes, unforgettable harmony. My first time. Hope to visit during next visit. Probably 3 stars by then. Kudos! 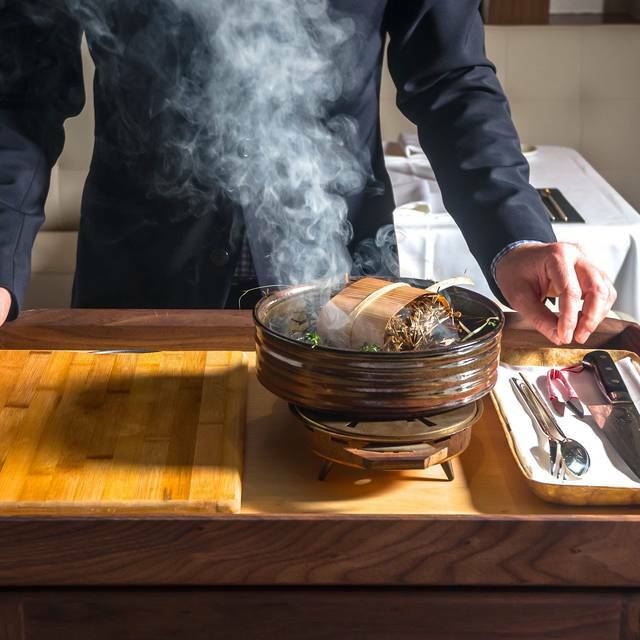 Dining at Gabriel Kreuther is always a memorable experience. On the current menu, white and green asparagus, served for two and finished tableside, is an astounding dish. And the duck breast, also for two and finished tableside, is exquisite. From the warm welcome at the entrance to the chocolates and coffee, we were delighted with our lunch splurge at Gabriel Kreuther. The restaurant was ideal for quiet conversation with a friend visiting from out of state. The menu offers a two course or a three course option. The array of choices is well conceived. Presentation of each item is exquisite. In addition to the flawless aesthetic experience, the food is superb and perfectly seasoned. 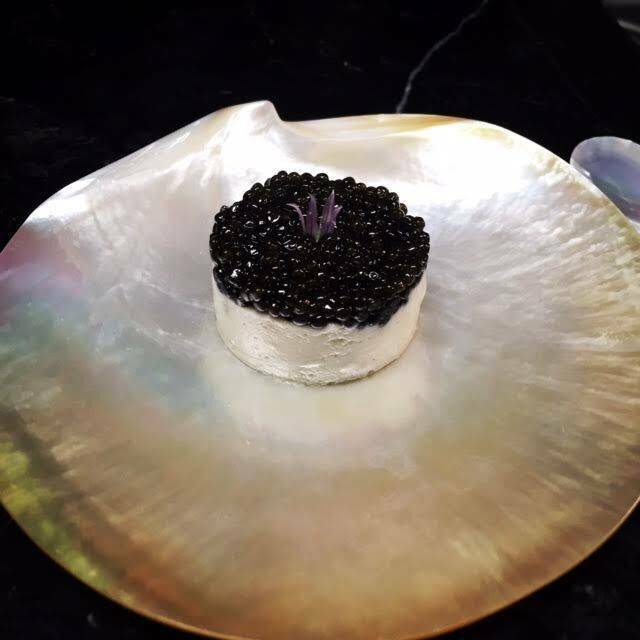 A signature appetizer, the sturgeon and sauerkraut tart, is a very special and delicate preparation that we recommend. Both fish entrees were delicious as was the decadent chocolate dessert. The service is highly professional but not stiff. We felt very well cared for by the staff. The high quality throughout merits the expense. Before the fantastic meal started I asked where the restroom was and the hostess didn't point me off in the direction. She accompanyed me there. That told me correctly that we were on track to a fine experience and that it was. Everything was beautiful, delicious and unique. When I was served a glass of wine that was paired with the bass I originally ordered which had been changed to trout, they naturally brought me an additional glass appropriate for the trout. Glad we chose the devine banana desert because the chocolate treats to follow were on the house. We chose Gabriel Kreuther as we wanted a special dining experience to celebrate our wedding earlier that day. The whole team at GK were great,communication was First Class and the extra touches I had asked for carried out to perfection...Tasnia looked after us and was a wonderful informative host as was the Sommelier who gave us a tutorial on the fine wines. I think this restaurant should be on everyone’s list for an outstanding evening in the City. Ive been frequenting restaurants on the 2018-19 Michelin list and this has been one of my favorites to date. They have a great location with knowledgeable and polite staff. Every item on the menu was great definitely recommend the duck. Wonderful presentation all around and a very enjoyable experience from start to finish. Attentive staff, the food was prepared and presented exceptionally. The wine pairing allowed us to try some different selections. We had a the pre-theater prix fix and it was lovely. Every morsel of food was delicious and beautiful. Just the right amount of food, served with thoughtful, gracious service. We felt well taken care of. We got out in time for theater, but was offered the opportunity to return afterward to have our dessert, a brilliant idea we took them up on. It was a great way to wrap up a great evening of theater and out wonderful experience with the restaurant. They presented a gorgeous "Happy Birthday" dessert for my daughter and it was very special. Thank you! We will definitely return for a more leisurely dinner another time. Truly outstanding food— some of the best of my life. It’s pricey but great for a (very) special occasion. Everything from the food to the service was nothing short of amazing. Perfect way to spend an anniversary dinner. Pre-theater dinner was outstanding - delicious food, great service, beautiful dining room. This is an expensive restaurant, but worth every dollar. We are a "mature" couple, who dined with another mature couple, and every one of us was wowed by the food and the service. I was especially impressed with the wine list, and with the wine steward, who was happy to inform about wines I asked about, and did not push me toward more expensive wines after seeing I was focused on the less expensive offerings on the list. I have not had a better dining experience in New York in the past 25 years. Have not been to such a wonderful restaurant in New York in a very long time. We were celebrating a birthday. From the moment we walked in we were greeted with a happy birthday, had a card on the table and had a beautiful birthday dessert. However, it was the food and service that was the most outstanding. Every dish was delicious, well thought out and generous. The service could not have been more attentive, well-trained and professional. The perfect restaurant for that special occasion. It's expensive but worth it for that special meal. Great atmosphere and service. Only options in Main Dining room are Prix Fix or Tasting Menu. Would be nice to have the option of Al La Carte too. Absolutely perfect...from the food, to the service, to the setting. One of the best meals I’ve had and the attention to detail was top-notch. The service and staff were truly exceptional. Great tasting menu. wonderful. Artistry on the plate. And great service besides. Utterly outstanding - food, ambience, service all exceptional - fully deserving of the Michelin star. Fois Gras to die for. Beutiful! Perfect! I would like to visit Gabriel Kreuther next time. From the greeting at the door to all the servers, the service could not have been better. The Prix Fixe made ordering easy. The wine sadly did not have Rose wine! Great food, wonderful lunch. Very good for a special occasion. We had a wonderful dining experience. The space is beautiful, service was outstanding, and the food was extraordinary. We couldn't ask for more. Top end experience. One issue that really irked me - There were 3 people in our group. We each had a delicious app and entree and no dessert. My guests each had a green tea. The bill came to $248 which is fair value but when we left the hostess didn't bother to lift her head to say thanks for goodbye. A simple but terrible way to end things on an otherwise lovely experience. 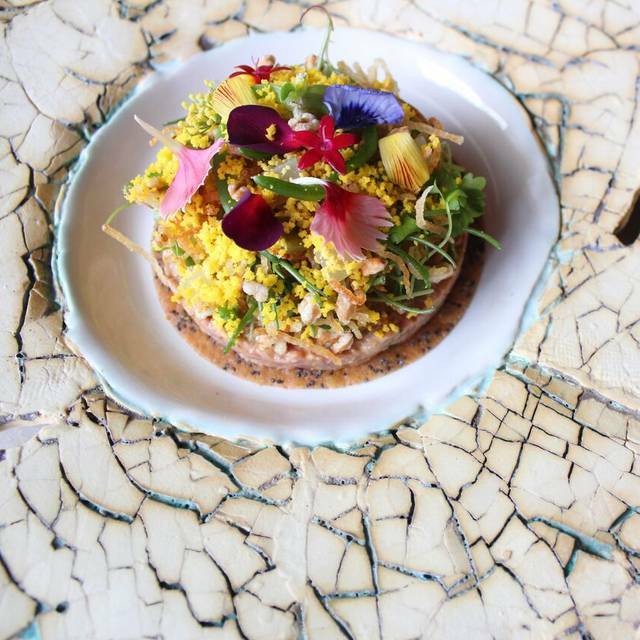 The food was both innovative and outstanding and the ambiance made me feel like I was dining in a luxurious tree house. The service was professional and yet friendly, so I did not feel like I was dining in a pretentious French restaurant. I would highly recommend Gabriel Kreuther to anyone who is looking for high-calibre dining in a casual and welcoming atmosphere. The staff members make you feel welcomed and comfortable. We were celebrating my friend's birthday, and Chef Kreuther even wrote her a little card wishing her a happy birthday, which I thought was a nice touch. Great service great food. Foie was amazing! This place is a bit expensive but the food is sublime. We did the 4 course prix fixe dinner (beware...the pre theater menu is not available on Friday/Saturday). Unlike some places there were many choices for each course, which was great as it was able to accommodate everyones likes and what dishes called to them. My husband and I love to cook so it's always wonderful to have a meal out and not think, "I could do this at home". Although I intend to copy their celeriac "pasta" in my own kitchen! I highly recommend this place, it lives up to it's two Michelan stars. 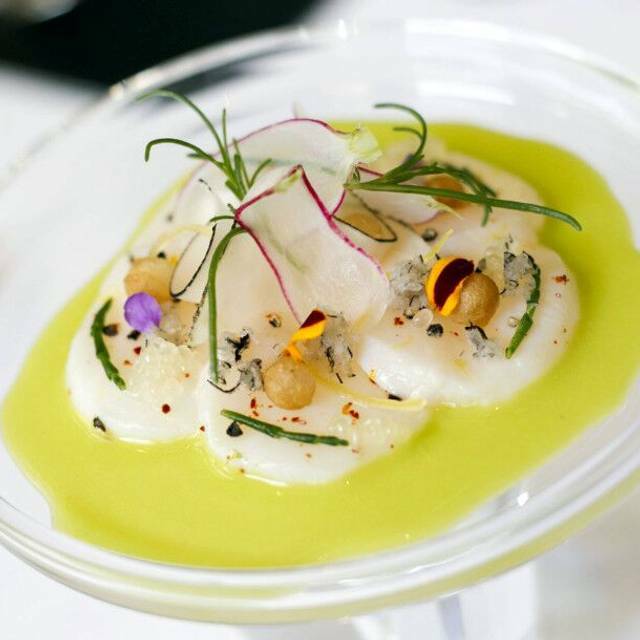 This epitomizes amazing Michelin dining for each food decor and service. Favorite dishes are: sturgeon tart, trout and strawberry desert. 2nd bread was my favorite. Absolutely fantastic! Great food. Friendly service. Lovely experience. We had an Anniversary dinner here. They have great attention to detail. I enjoyed everything on the four course dinner menu. I am a big fish fan and it was fun to try their varied fish dishes including bass, lobster, langoustine and sturgeon. Foie gras was also great. The atmosphere was nice. I felt like we had great privacy with curved table in a comfortable corner. It is right next to Bryant park which also makes it a fun place to hang out at after or before dinner. 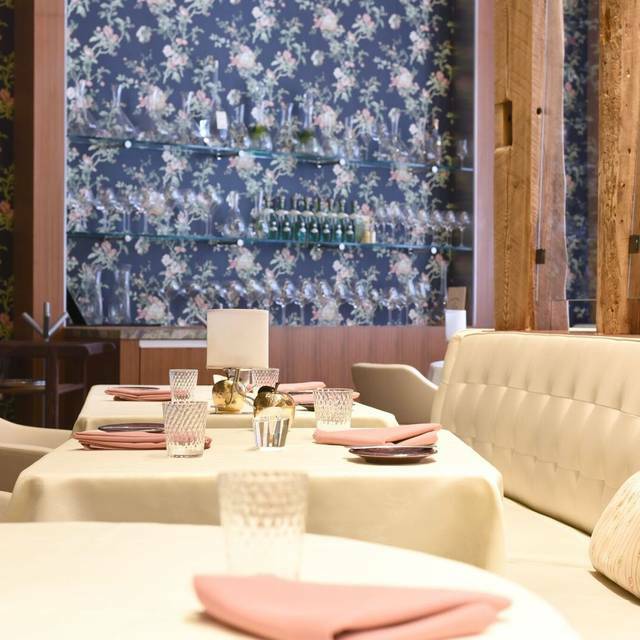 We had high hopes for the evening, based on dinners at The Modern and the Chef's prior connection to Danny Meyer, who understands customer service better than anyone. Unfortunately, we left thinking we had made a very expensive mistake. It started with Matt, the Sommelier. I said what we planned to order, and asked for suggestions from Alsace. He said that what we were going to order sounded like a white wine dinner and asked if we would mind no reds. After that, he kept talking but provided no useful information other than "great wine" or "great producer". When we redirected him to Alsatian Rieslings (again) he told us to focus on vineyards and vintages, without any specifics. He finally suggested a particular biodynamic producer and when I said that sometimes those wines are a bit too much of a "science experiment" for me, he assured me that the wines were clean, mineral-driven and typical of the region. He then brought the wrong wine (a different vintage that was $45 more) and when I questioned him, instead of bringing the correct one, brought me the wine list (which only showed that I had been correct). The wine tasted so different to me than what we expected, that I asked him to taste it. He first said "with this producer, his wines are all over the place, so you never really know what you'll get," then brought out a different glass than we were using and made quite a bit of theater when tasting the wine. After he left, I asked Phillipe, who seemed to be in charge, to taste the wine and he reiterated that the wines were a bit unpredictable and offered to bring us a different bottle, which he did (it was both already opened and less expensive than the one we ordered and for which we were charged). After that, it was just downhill. The service was indifferent and slow. The food wasn't bad, but it wasn't amazing either. The worst part was that it would have been so easy to do the little things that great restaurants do, but none were just not done. Perfect service. perfect food. It was one of my best birthdayfoods =D Thank u very much. One of the best meals I've ever eaten. Superb service. Expect to pay $200+/head at minimum, and closer to $300/head if you want the wine pairings. It was wonderful. The service and smiles on everyone’s face was really noticeable. Knowledge of the courses by everyone. My daughter is 7.5 months pregnant and cannot eat raw food. The staff jumped through hoops to make sure she knew the contents of all the dishes and even suggested alterations to accommodate her. I on the other hand enjoyed the black truffle hamachi appetizer, trout with caviar and everything else we ordered and all the additional muses and breads in between. The chocolate is delicious. Truly the best business lunch in the city. Exceptional food and service and a good value. We went to celebrate my wife’s birthday. It could not have been any better. We were greeted with a birthday card for my wife signed by the chef. The entire team that served us never missed the slightest beat. The prix fixe menu gives you many delightful options. You can choose the normal four-course, or a tasing menu that is six courses. If you want cheap, this isn’t your spot. 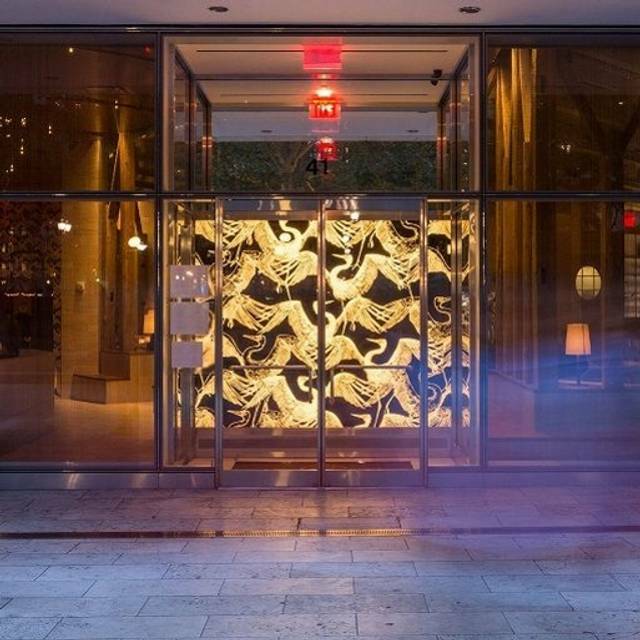 If you want a memorable experience that is among the best New York offers, this is the one.